So our universal remote finally died on us (it had a long life - 7 years!) and our home entertainment subcontractor kindly and promptly came out to replace it with the newer, sleeker model, and now it's all programmed up and ready to go. 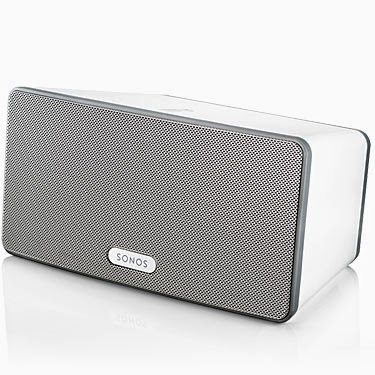 In the process, we learned about Sonos. Have you heard of it? It's a Santa Barbara, California-based consumer electronics company that started in 2002 focusing on wireless audio products. 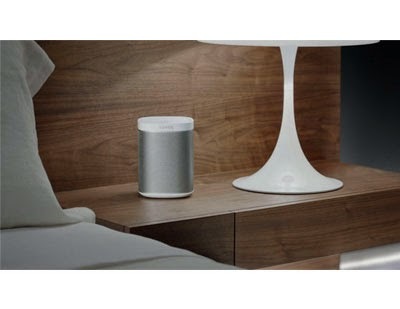 One of their products is a portable, wireless hi-fi speaker that streams from digital music collection on your phone, tablet or computer, and also uses your wireless internet connection to stream from Pandora or even just regular local radio. 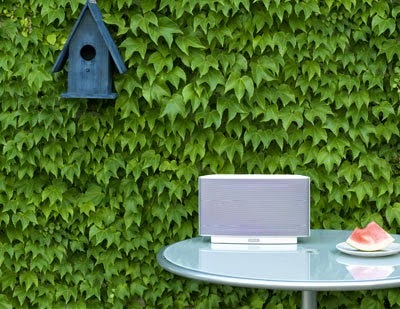 The speaker comes in three sizes and can literally be carried from room to room, to your porch or deck, etc. - wherever you want to listen and get a wireless signal! (Above is the Play:1, the smallest one for $199). 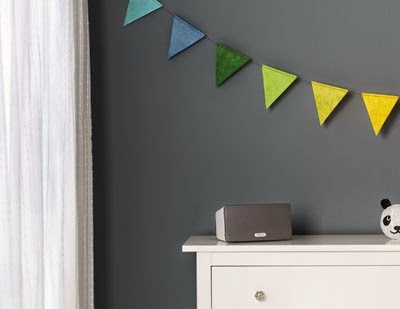 This is a great thing for those of us who want to avoid having to hard-wire speakers in several rooms to create whole-house sound. And, the best part of all - you control it via an app on your phone. 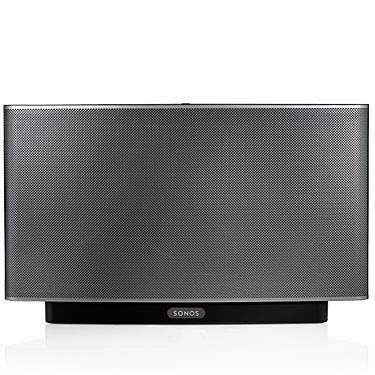 Of course you can buy multiple speakers if you wish, and they also have a surround sound set up. In addition to the speaker(s) there are additional component options needed for syncing everything up, but to us it seems much more affordable and flexible than hard-wiring. 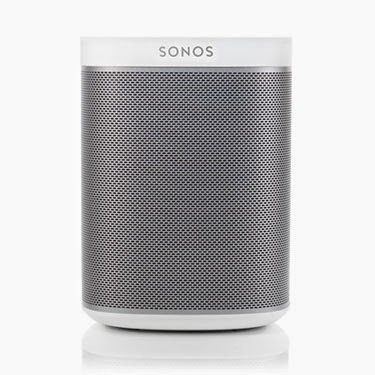 Plus the speakers come in both black and white and are well-designed. Supposedly the sound quality is really great, too. If you are as intrigued as us, let us know - we can give you the contact info for our home entertainment contractor who knows this stuff in and out.